Pramod Singh, a result oriented analytics leader, comes with an experience of 19+ years in multiple geographies with a track record of successfully enabling top and bottom line growth for businesses leveraging Big data analytics. 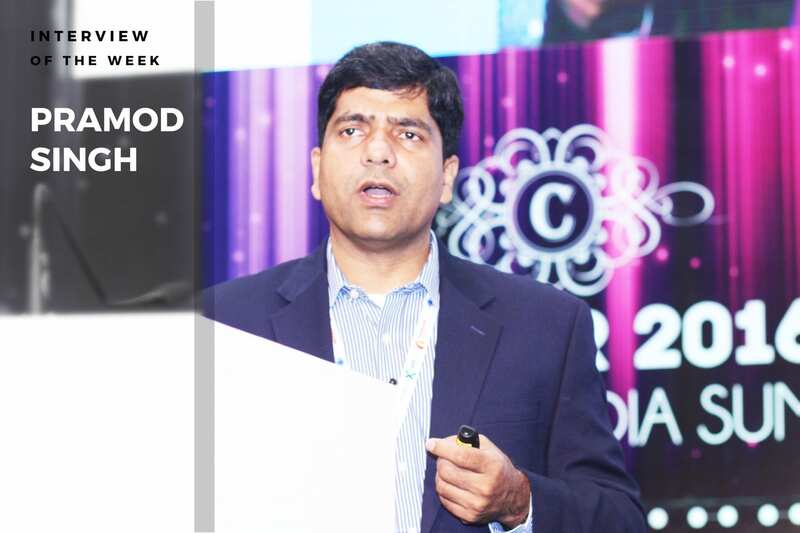 He has successfully built high performance big data analytics organization and its members, and has various publications and keynote addresses across multiple conferences across the globe. He is a thought leader in the field of big data analytics, and has delivered analytics enabled business benefits of more than $900M. He has been a recipient of highest level leadership and innovation awards from Marketing and Information Technology and has specialties in web mining, advanced analytics, data mining, business intelligence, data warehousing, big data solutions and much more. AIM caught up with Pramod Singh who currently serves as the Chief Analytics Officer at Envestnet | Yodlee where he leads a 50+ member team comprised of Data Scientists, Analytics Engineers and Business Analysts– responsible for delivering data analytics solutions for enterprises. Analytics India Magazine: How does Envestnet | Yodlee’s data aggregation and data analytics platform enable personalized financial apps and services for consumers? Pramod Singh: Envestnet® | Yodlee® is a leading data aggregation and data analytics platform powering dynamic, cloud-based innovation for digital financial services. Our platform has fueled innovation in online banking and financial data management for over 17 years. We partner with the largest financial institutions, including 11 of the top 20 U.S. Banks, garnering 71% of this financial data through structured data feeds and enabling a massive data network associated with tens of millions of consumers. More than 1,000 financial institutions and Internet services companies subscribe to the Envestnet | Yodlee data platform to power personalized financial apps and services for millions of consumers. AIM: Would you like to highlight a few analytic tools and frameworks that you have leveraged? PS: Technology has changed significantly over the last decade. I still remember my earlier roles at previous companies where we paid large amounts of money for proprietary analytics tools and worked within their constraints. However, with the advent of open source tools, the whole landscape has changed. At Envestnet | Yodlee, we use a combination of tools that enable us to create highly customized products and offerings for our customers. Using data science, predictive analytics, and artificial intelligence techniques, Envestnet | Yodlee Data Intelligence can help drive the next generation of highly personalized and predictive financial applications, services, and advice. In terms of big data frameworks, we use Hadoop and Spark extensively. Our data scientists also use other open source tools like R and Scala. We have state of the art implementations and deploy some of the most advanced models on our cloud-based platform for digital financial services. AIM: As a leading financial data platform, how does Envestnet | Yodlee deal with the large amount of data that is being generated? Is data security a major concern? PS: Data security is one of Envestnet | Yodlee’s key priorities. As an FFIEC supervised Technology Service Provider, Envestnet | Yodlee adheres to, and in many cases exceeds, the security and risk management standards required to engage with consumers and their financial data. Envestnet | Yodlee has been addressing the questions and concerns of outsourced cloud computing for over a decade and is consistently recognized as having the strongest operational and security standards in the industry. Envestnet | Yodlee is supervised by U.S. banking regulators and undergoes yearly audits from two independent organizations. Approximately 1,000 of our clients access the independent audits, 150 – 200 conduct formal audits, and 40 conduct onsite audits. AIM: With nearly two decades of experience in analytics, what are the most significant analytics solutions that you have worked on? PS: During my analytics journey which started more than 20 years ago with Walmart in Bentonville, Arkansas, I designed and developed the application and underlying data mining technology powering the company’s advanced Assortment Planning system. This application revolutionized the store assortment practice for Walmart and is still being used by vendors and buyers. Since this was done early in my career, it is close to my heart. In addition, I have built several other analytics solutions at other companies before joining Envestnet | Yodlee. One idea that received multiple awards was a marketing solution for small- and medium-sized businesses (SMB) that helped to define and assess the market opportunities for 20 million SMBs across the U.S. and identify distinct market segments. These segments were used to design and deploy the right marketing strategies to personalize the experience for SMBs. I have also built global analytics platforms for HP where we were able to consolidate and deploy multiple analytics solutions. AIM: Can you talk about the data science and analytics team at Envestnet | Yodlee? PS: We are building a strong data science and AI based practice at Envestnet | Yodlee. Although there are quite a few organizations that are doing a good job in building a breadth of data, there are few, if any, that go deep into this space. Currently, we are working to create deep, cutting edge solutions with our data intelligence and massive scale of data. I look at a healthy data analytics practice as a three legged stool. All legs have to be equally balanced and strong. The first leg is a team of Data Scientists, mostly with PhDs in disciplines like deep learning. The second leg is Analytics Engineering, folks who help build the production system and scale the production, using tools like Hadoop and Scala. The third leg is Business Analytics, with folks who can understand the business problems and circle back with Data Scientists and Analytics Engineers. Our goal was to build a strong foundation with a focus on AI and Machine Learning and we are pleased to see the progress we have made in the past two years. AIM: What are the most significant challenges you face at the forefront of the data analytics space? PS: I think one of the major challenges in India or anywhere in the world is access to the right talent pool. It is essential for companies to build a strong team and have the right talent in the right place. It is also important to develop a strong Data Science team, who can provide solutions to problems in the right way. In addition, the team needs to be fully aligned with business strategies and goals. AIM: What kind of knowledge and skill-sets do you look for when recruiting for talent? PS: If we look at our practices, there are three classes of talent that we are looking for. First, we look for deep Data Science experts with demonstrated skills in AI and Machine Learning. Here, we focus on recruiting talent with the right educational background with at least a Masters in the field from renowned institutions such as IITs in India or from other top universities across the globe. They should have hands-on experience in building models with deep expertise in machine learning and similar areas. Second, we look for Analytics Engineering talent, folks who work on production data analytics. Here, we look for strong engineering and big data technology skills. A strong background and experience in this space is also an advantage. Third, we look for domain expertise in the financial services industry. Deep domain expertise in areas like wealth management, banking, and retail are helpful. Also, soft skills to coordinate with folks in the business and lead the business ahead are important as well. AIM: How do you think ‘Analytics’ as an industry is evolving today? Could you tell us the most important trends that you see emerging in the analytics space across the globe? PS: I have been in the analytics space for more than two decades and this field has evolved a lot since then. In the 1990s, I started my career with Walmart and that time, my analytics work was called data mining and the evolution has been significant since then. While there was little definition and existence of that before, so many companies and educational institutions are getting into the analytics space today. I would draw a parallel between data mining in the 1990s to AI today. AI is going to evolve significantly with time. There are tons of applications that have leveraged AI and Machine Learning and in the coming years, there will be even more applications. Deep learning will be prevalent in the next 10-15 years with lots of applications across various aspects of our lives. We will see a world with more machine learning based solutions in the future.